Glorious reds and greens makes this gum-blossom cloth an absolute delight. Pre-shaded on quality white polycotton and measures 75cm square. 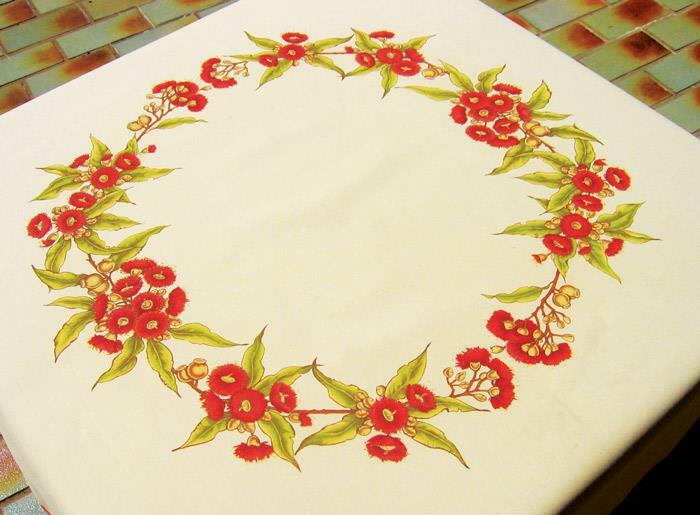 Use the Oval Hoop or a Blotter Sheet under the cloth whilst painting.